Oil on Canvas 20" x 20"
After painting around Cassis harbour, the next day I toured the area and had a picnic lunch in this olive grove nearby which I sketched and later painted in my studio. The fairly parched ground was full of poppies moving in waves in the wind and the sun was catching the tops of the old seed heads. 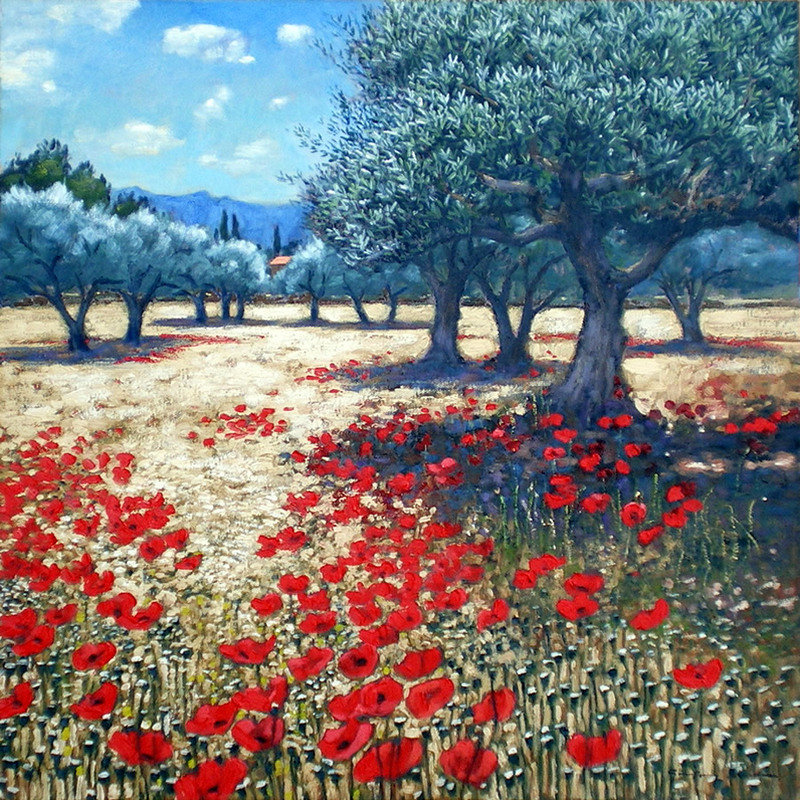 The diminishing size of the poppies lead the eye into the picture and helped provide the sensation of space and distance. 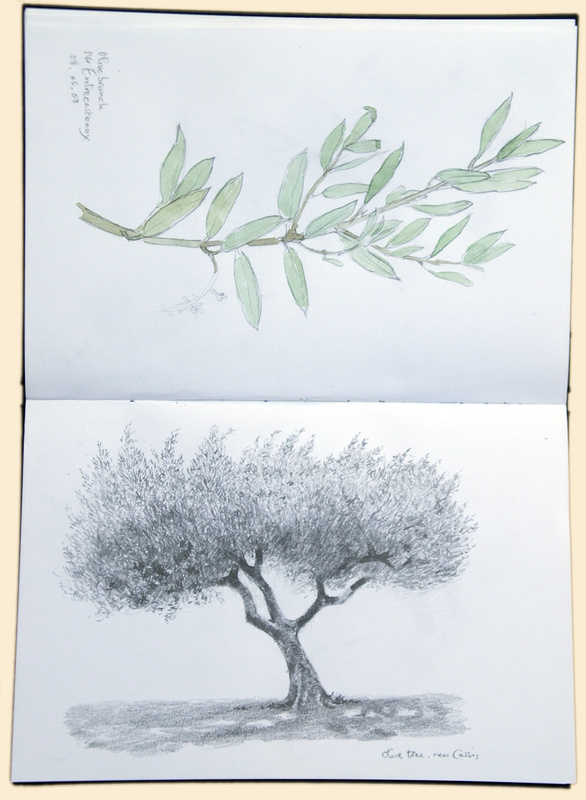 Watercolour studies of olive branch and olive tree.